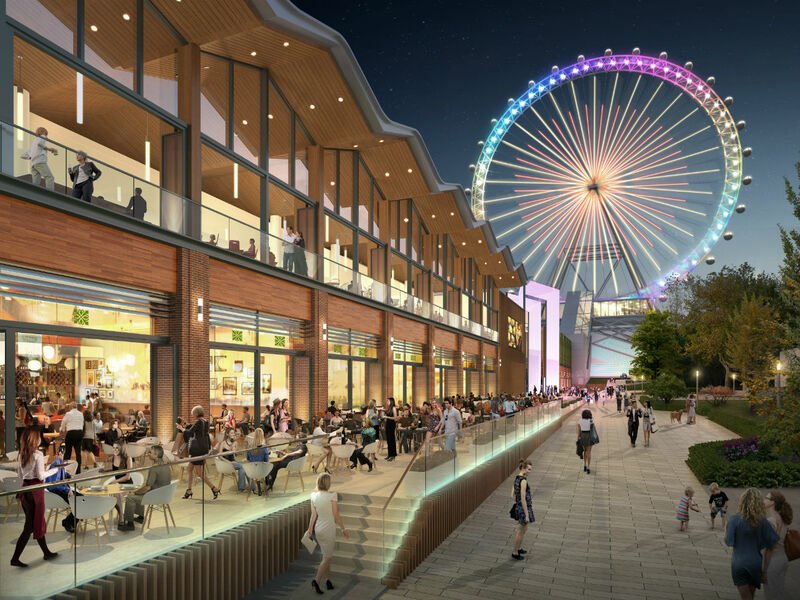 The Moscow wheel will be designed by the architectural firm, Chapman Taylor, and Intamin AG, the Swiss engineering company and maker of equipment for amusement parks. The planned Moscow Ferris wheel will be higher than The London Eye, and will become one of the Russian capital’s five most visited sights, investors hope. A new Ferris wheel with a 1.5 million annual visitor capacity will be built near the VDNKh exhibition grounds in Moscow's northeast, reported Amiran Mutsoev, a board member at Regiony, the project’s sole investor, to RBTH. The 140-meter high Ferris wheel will be Europe’s tallest, greater than even the current reigning champion, The London Eye, which rises 135 meters. Mutsoev said the Moscow wheel will be designed by the architectural firm, Chapman Taylor, and Intamin AG, the Swiss engineering company and maker of equipment for amusement parks. Total investment wasn’t disclosed, but the project is expected to break even after eight years. "In the near future the Ferris wheel will be one of the capital's five most visited attractions," said Mutsoev, adding that this will increase the number of tourists to Moscow by more than 1.5 million people annually. According to the Moscow Department of Sport and Tourism, in 2016 the Russian capital had 17.5 million tourists, of which 4.5 million were foreigners. Thus, the new Ferris wheel should boost the number of tourists by almost nine percent. The Ferris wheel will be equipped with 30 closed cabins, each able to hold 20 people. There will also be a broad-roofed promenade, a network of themed restaurants, shops, a cinema and even a wax museum. "We decided to make the Moscow Ferris wheel the tallest in Europe because it’s strategically important for the city," said Mutsoev, adding that the project will further stimulate the development of other such attractions throughout Russia. Irina Irbitskaya, director of the RANEPA Center for Urban Development, is skeptical about the project. "From the business viewpoint, if you’re doing this for Chinese tourists then it’s appealing, but from the city’s viewpoint the idea raises doubts because Moscow will not profit from it." Irbitskaya added that it’s important to look at the multiplying effect of any such project and not only the profit return for its owners. For example, will it also increase revenues for small and midsize businesses in the neighborhood? Irbitaskaya believes the area near VDNKh is already overburdened with tourists. "Attracting tourists is difficult, and depends on the quality of the urban environment, on resident wellbeing. For example, visiting The London Eye is by far not the main goal for the average tourist; he or she is primarily going to London because it’s a comfortable and interesting city," said Irbitskaya.